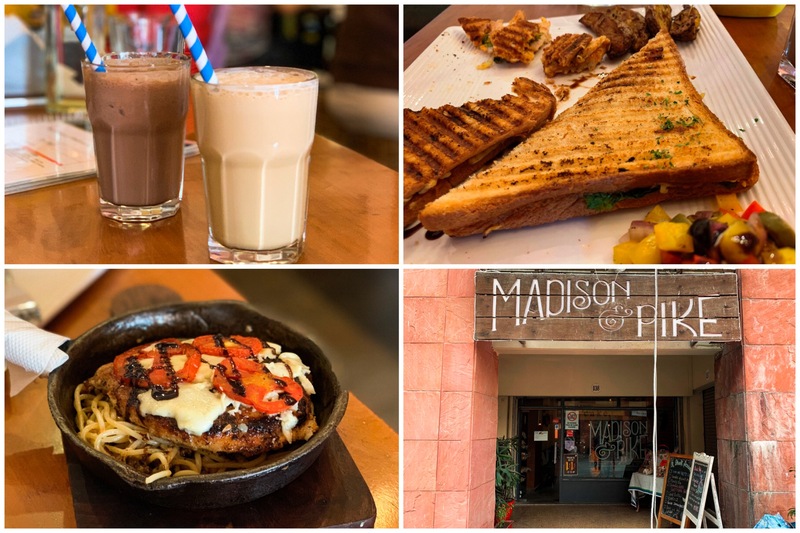 [Gurgaon, India] Madison & Pike epitomises the quaint neighbourhood café with its simple interiors dotted with curious and a general feel-good vibe all around. 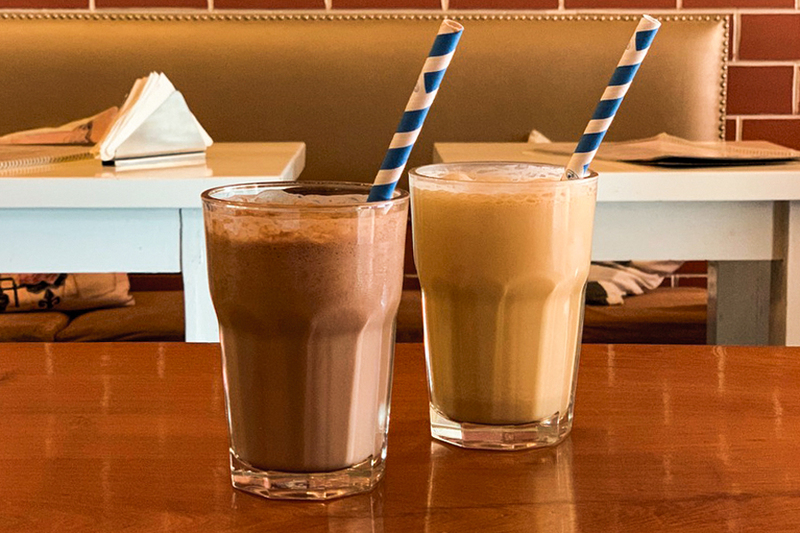 A bakery and a café rolled into one; they serve a menu full of classic comfort foods that go well with a nice cup of coffee or chocolate milkshake. Started by Seattle-return Sakshi Budhraja, Madison & Pike gets its name from two separate areas, Madison Valley and Pike Street, in the US. A passion project that saw the light of day in 2014, there is a love for food that reflects beautifully through the various preparations on the menu. The bakery further adds a sweet touch to the constant hustle and bustle of the café. 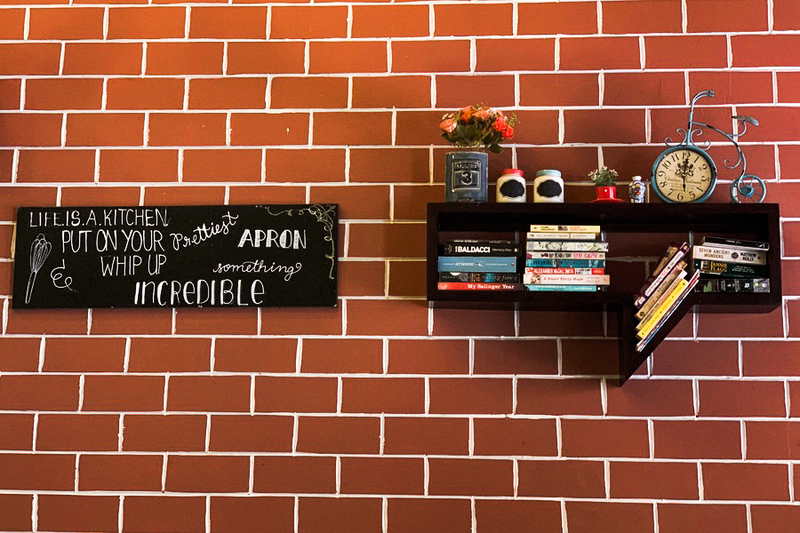 In a culinary world where even the most successful restaurateurs take a popular concept and unashamedly repeat it, there is nostalgic happiness that comes from a stand-alone café. 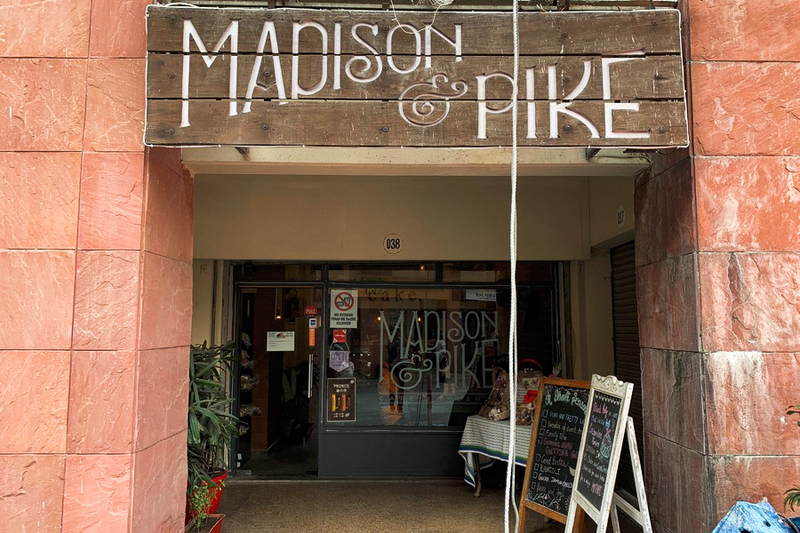 Madison & Pike, with its unique name, friendly service, and good food, makes it possible to enjoy a meal in a laidback setting without putting a dent on the wallet. There is a very subtle book theme to the café, even though that is not how they promote it. From the hanging book art, controversial to an extent, to the two bookcases on the walls and puffs with book prints to sit on, there is just about enough to make the atmosphere bookish. 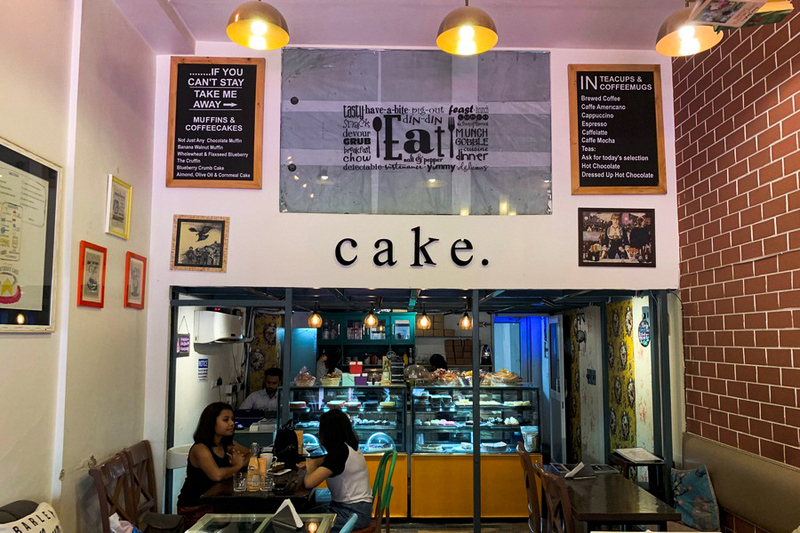 The large “cake” sign on the front wall is the first thing that comes to notice, and it certainly helps in brightening up the ambience in a sweet and fun way. The style and façade of a restaurant are of no use if the food isn’t right. Thankfully, Madison & Pike doesn’t entirely fail to impress in that department. 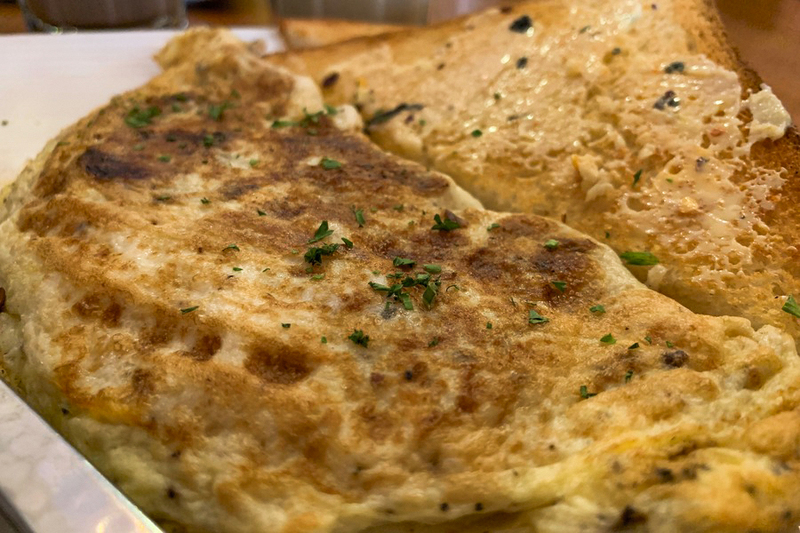 I particularly enjoyed The Madison Omelette (Rs 235, SGD4.50) with romesco sauce that added a nice flavour and distinct taste to it. The well-buttered toast on the side made this into a perfect breakfast dish. 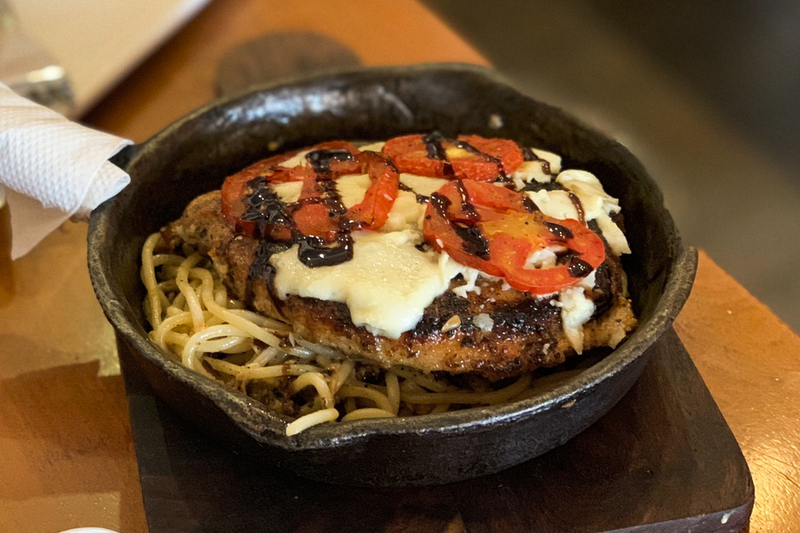 The Caprese Chicken (Rs 410, SGD7.90) also gets a special mention for having one of the most delicious spaghetti Aglio olio I’ve had. However, the breaded chicken could have been slightly more tender to make it into an exceptional eat. 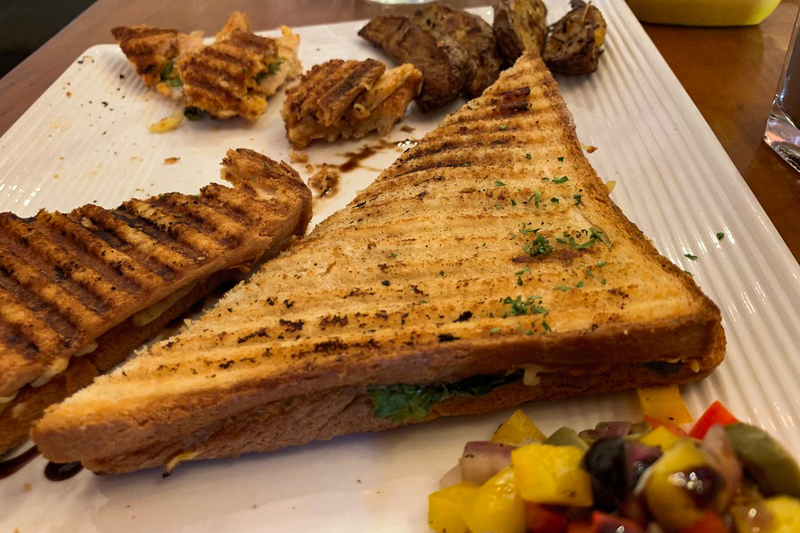 The only slight disappointment was the Not Your Usual Chicken and Cheese (Rs 295, SGD5.70) that turned out to be the pretty much like any other grilled chicken sandwich. 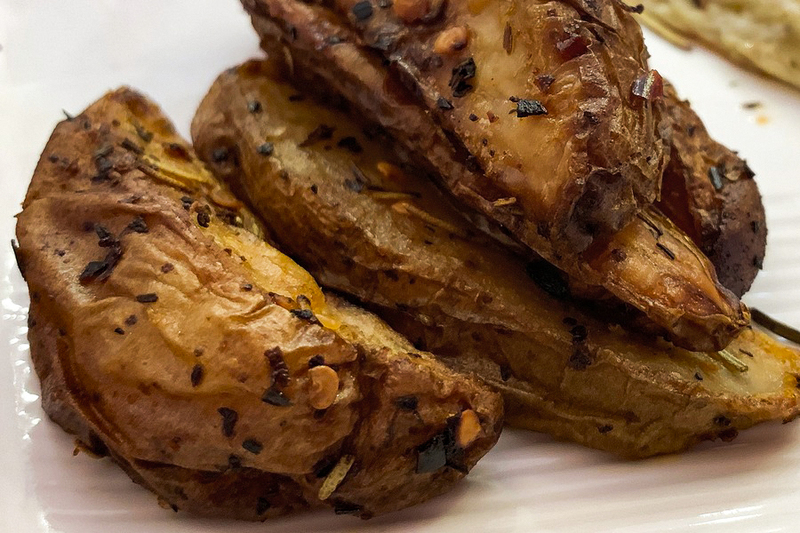 Its saving grace was the side of rosemary potato wedges. I do believe Madison & Pike has excellent ideas, and they execute them well enough, but a little tweak here and there can certainly go a long way in making the food stand out even more. 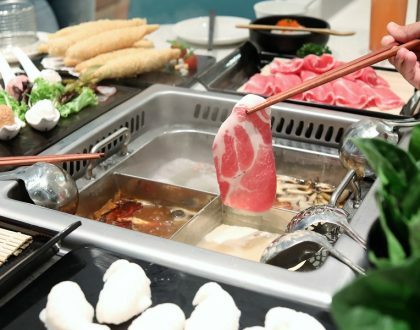 The restaurant is situated in the up-and-coming Nirvana Courtyard with a number of eateries opening up, most of which are independent projects. 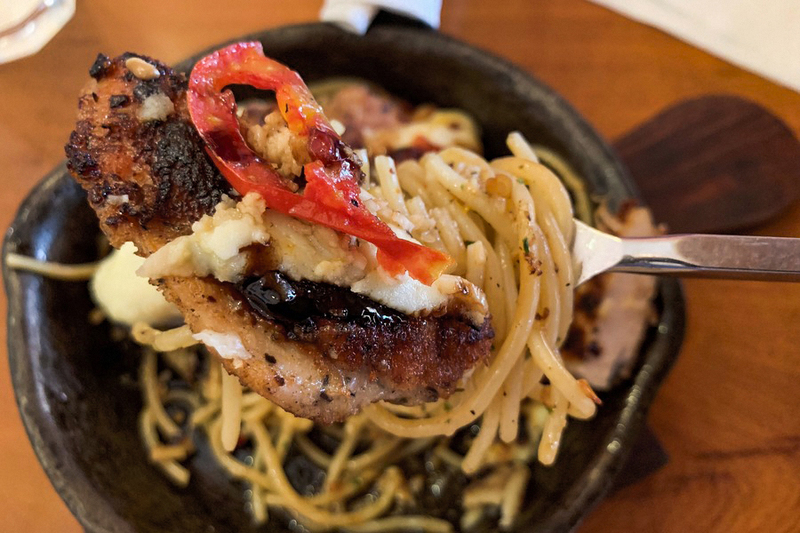 There’s a certain comforting and familiar charm to Madison & Pike where you don’t have to think twice about returning for a quick bite. I have always believed in encouraging independent cafes, especially when they go out of their way to invest in the food they serve. Madison & Pike is the perfect place to have a good gossip session with friends over coffee or as was the case with me, a nice little date with my children accompanied by some yummy food and lots of laughter.